If you were one of the fans who witnessed George Miller’s Mad Max: Fury Road in theaters last year, then you were treated with one of the greatest movie making experiences in your lifetime. George Miller’s masterpiece may have came out roughly a year and a half ago, but people still to this day cannot stop talking about the amazing care of a post-apocalyptic film franchise that was started over three decades ago. Fury Road: Crash & Smash is a new behind the scenes video that gives us a better look at the amazing stunts and choreography it took to make this film happen. This featurette just goes to show how much time, and dedication it took the production crew to bring this film to life. The effort put in to making this film could not be praised high enough and this video proves that. 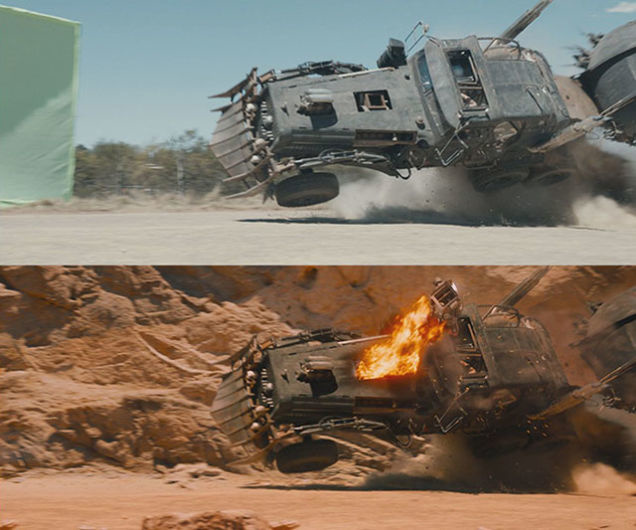 Make no mistake, Mad Max: Fury Road does utilize its fair share of CGI work. However, George Miller wanted to make this film as authentic and realistic as possible. By using mostly practical effects, Miller brought us the visual flare he was striving towards. 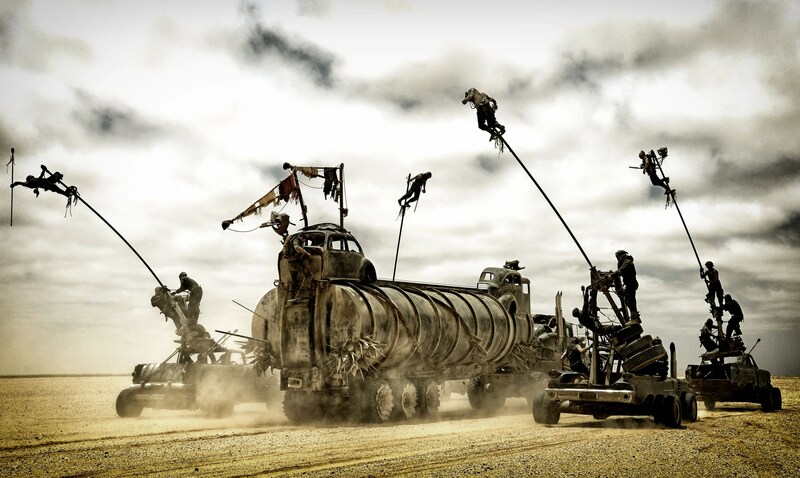 From tumbling cars and trucks, to motorcycles flying in the air, just goes to show that the majority of the film was shot through practical techniques. These are the many reasons why Mad Max: Fury Road became the blockbuster hit Warner Bros. was hoping it would become. While I’m not going to debate why practical effects should be used more than CGI, what I will say is that I found myself enjoying a film more based on its believability. 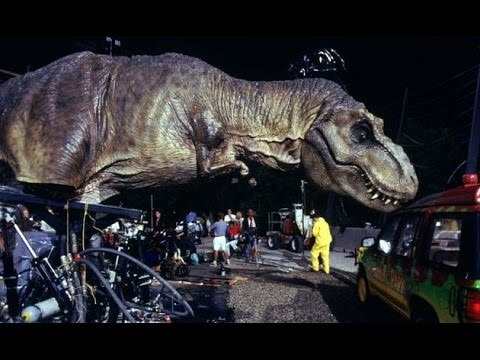 For instance, even though the original Steven Spielberg’s Jurassic Park did have a few scenes with CGI effects, the MAJORITY of the movie showcased a few living/breathing animatronic dinosaurs including the enormous Tyrannosaurus Rex. Though Jurassic World wasn’t a bad film, the movies big bad the Indominus Rex, was a full-on CGI creature. It lacked the validity of what the T-Rex gave us in the original two Jurassic Park films. This took me out of the film a bit, knowing that the creature wasn’t real enough for me to believe that the actors were getting chased by this monster. The same goes for the Velociraptors in the movie. The original film had plenty of scenes with raptors performed by puppeteers. One of the more popular scenes include that infamous kitchen scene where the two kids Lex and Tim are being chased by two Velociraptors. Check out the kitchen scene by clicking the video down below! As you can see, there are absolutely NO practical effects used in this scene. The raptors are entirely computer generated and Pratt is forced to believing that there are creatures directly in front of him. While the raptors look good in their CGI form, in my honest opinion they aren’t as believable enough unless they appeared as a practical effect. I could go on and on about the use of practical effects nowadays. Though we definitely need our fair share of heavy CGI work (ie: superhero films), it seems that Hollywood is slowly shying away from your standard effects. It’s time consuming to make an effect come to life, let alone more expensive. However, if a director such as George Miller or Steven Spielberg can make great use of CGI and practical effects work cohesively, then it’s a win-win for movie fans. Those are my thoughts on the latest Mad Max: Fury Road featurette and impressive practical effects. What do you think? Should Hollywood use more practical effects over digital effects? Share your thoughts in the comment section below!